A brand new mainstage for Kidztown... all to be revealed very soon! Whether the proud parent of a Lil Wayne, a Missy Elliot or a whole crew of Beastie Boys or Wee Papa Girls Rappers, FUN DMC is the perfect jam for you and yours. 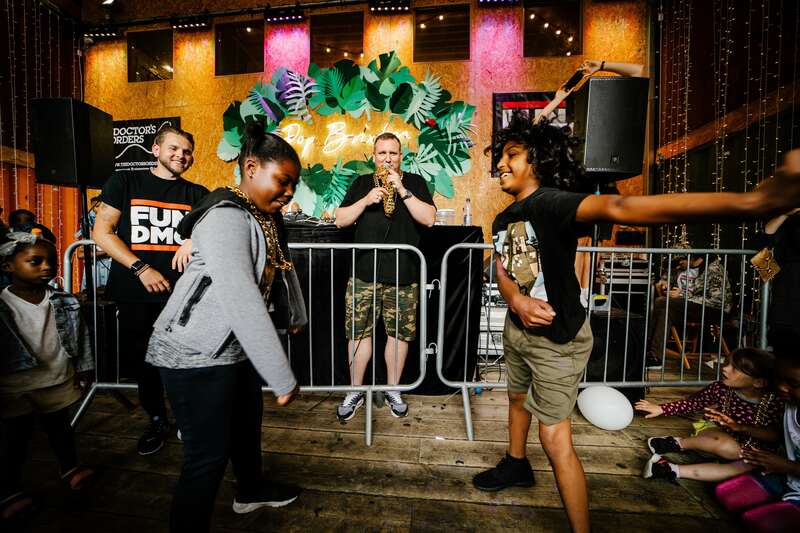 Here you can take part in a real block party experience designed with both parents and children in mind with areas to dance, practice graffiti, play with super-fly Hip-Hop fancy dress, or just chill and enjoy a drink.